Exclusive! Present this plaque to someone who puts his (or her!) guardian angel to the test day after day. That someone might be you. 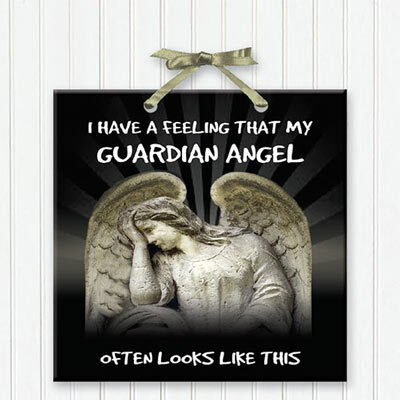 Our Guardian Angel Plaque is ceramic with satiny ribbon hanger. Imported. 6" sq.